You’ve heard the stories—and you probably don’t believe them. The one about the unpublished sci-fi writer who had to be convinced to try self-publishing, only to find the money rolling in along with a traditional contract and a major motion picture deal. Or the story about the unpublished romance writer who kept her self-published project a secret while making five figures a month. Within a few years she was a New York Times best-seller and had sold five million eBooks. But these stories are true. The first author is Andy Weir; the second, Liliana Hart. Are they outliers? How common is such success? 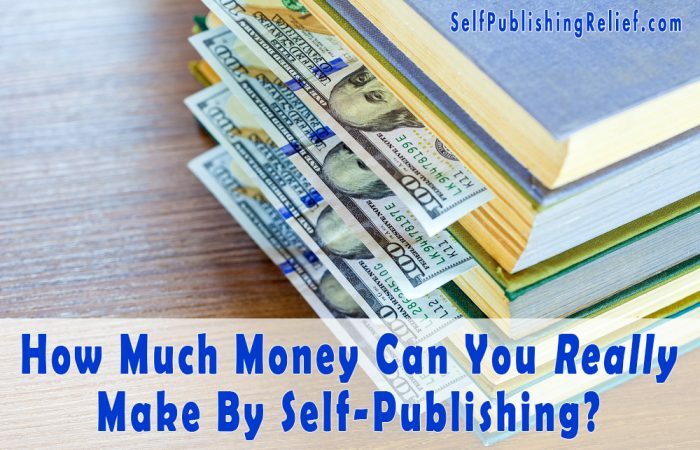 And exactly how much money can you really make in self-publishing? Self-Publishing Relief has the answers. Hoping for the same success, many writers have embraced self-publishing. 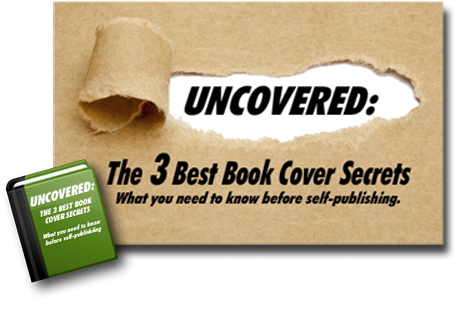 They put their books through multiple edits, choose striking titles and stunning covers, and upload to e-vendors. Their moms buy a copy and so do some of their friends. Promotions on social media elicit a few more sales, but after a month or two—nothing. What happened? For new authors, discoverability is the greatest challenge. Most book vendors will boost a new release during the first thirty to sixty days, but after that, authors are on their own. You now have something to offer folks looking for their next great read. You have a book to showcase your expertise and skill in the hopes of landing speaking engagements. You can build a following by offering your book to interested parties in exchange for joining your mailing list. Remember, first books rarely make a big splash—even in traditional publishing. As well as their meteoric success, Andy Weir and Liliana Hart have something else in common: Their first books were self-published in 2011. Because Amazon dropped the price of the Kindle to $99 around this time, the demand for eBooks shot up when inventory was low. New books from forward-thinking writers were snapped up, talked about, and raved over. Fast-forward a few years later. The number of eBook titles has skyrocketed. In fact, by 2018, eBooks will account for about a quarter of worldwide book sales. Discoverability is even more difficult. The gold rush, it seems, is over. They Have a Backlist of Books. This increases marketing opportunities and overall return on investment. They Write Series. A series works to draw readers from one book to the next, increasing engagement. They Have a Tight, Frequent Publication Schedule. S. Paul self-published nearly twenty-four short books in a year, to the tune of five figures a month. They Cultivate a Following. Whether through newsletters, street teams, or Facebook groups, financially successful self-published writers gather their tribe. They’re Smart Marketers. Understanding the importance of Facebook ads, Amazon ads, BookBub ads, and other platforms helps boost discoverability. The average self-published author usually emulates the second- and third-wave authors without pushing too hard. A successful self-published writer publishes consistently while building an audience and mastering smart marketing techniques. How much a self-published author makes in royalties depends on a lot of factors, including how many books they have, the genre they write in, and how savvy they are at marketing. Some experts state that the median amount self-published writers should expect to earn is $5,000. But that includes all self-published authors—multi-published, best-sellers, and new writers—so it’s a high limit. A more honest assessment suggests that about half of first-time self-published authors will earn less than $50 per month on their books. If you’re curious about how your favorite self-published authors are faring, check out a clever little piece of software called KDSpy. Keep in mind, self-publishing success isn’t only measured in money. Self-publishing offers the freedom to write what you like, choose your message and marketing, and control your platform. And self-publishing lets you share your stories with the world on your timeline, rather than waiting years to sell them and even more years before you see them on the shelves. And for many authors, these benefits are priceless. Question: What is your definition of success as an author? Is it a traditional book contract, a minimum income expectation, peer awards, or something else? For me, success means earning a profit. Right now, I’m spending more than I’m making when I include initial cost to create the book and marketing. I’m learning about Amazon ads and will continue to try and figure those out as well as the other avenues. I’ve cut my initial expenses down when creating a book. I’m also trying to find in-person events that don’t cost an arm and a leg where I don’t even make the cost of the table back. My next plan is to book paid speaking engagements. I think this may help me more than anything to get discovered and to help my bottom line.